Thinking of using some of the touch features of Windows 8, but don’t have a touchscreen display? 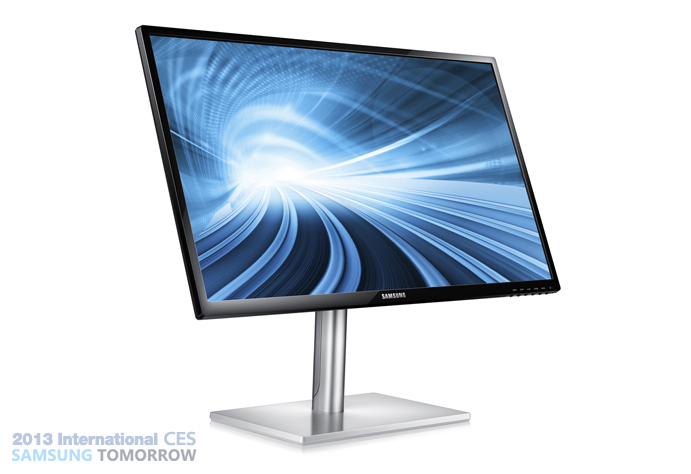 Samsung has announced two new monitors to help bring touch in the new year. The SC770 is a 24-inch 1080p display that’s bundled with a touchscreen, making it fully compatible with Windows 8. Not interested in touch, but still want to grab Samsung’s latest designs? The SC750, a 27-inch display, would be your choice. Need more pixels? The 27-inch S27B970 has a resolution of 2560×1440. More information, including pricing and availability, about the new displays will be available during CES, where Samsung is expected to be demoing a completely new line of displays across the board.